Only one team, the Pittsburgh Penguins, has hoisted Lord Stanley’s Cup in back-to-back seasons since the tun of the century, and only one other team, the Detroit Red Wings, has done so since the days of Wayne Gretzky and the Edmonton Oilers dynasty of the 1980s. Winning the Cup is hard to do once, let alone consecutively, and we can thank the high level of parity in the league today for that. For the Capitals faithful excited at the prospect of another deep run into the postseason, these Stanley Cup Playoffs will be a hard pill to swallow. It took more than 40 years of relative mediocrity and fruitless playoff appearances in 10 of the 11 seasons leading into last year’s championship run before the Caps finally realized the sweet bliss of NHL superiority. 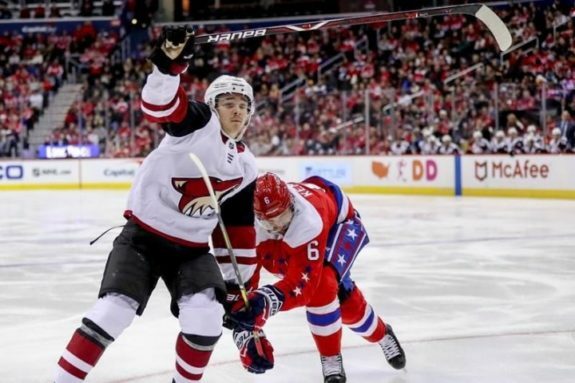 And despite seemingly promising results on paper in 2018-19, another scoring title for Alexander Ovechkin and a roster almost fully intact from last season, a second-straight championship isn’t in the cards for the Capitals. Here’s why. Popular opinion (or maybe just overly optimistic lower-seeded teams) says you can toss out the regular season stats at the start of the playoffs because it’s a clean slate and a whole new season. Well, don’t. Trends are trends for a reason, and there are some unavoidable numbers staring all the doubters right in the face. While the Capitals went an impressive 14-5-1 over the final 20 games of the season on their way to a fourth consecutive Metropolitan Division title, here’s a look at some of the underlying numbers. 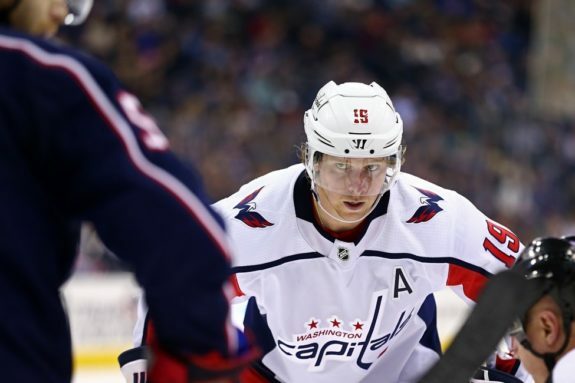 Against Eastern Conference playoff teams, the Capitals’ head-to-head record was underwhelming. In four games each against potential second-round foes, the Penguins and New York Islanders, the Caps were a combined 3-4-1, averaging just 2.38 goals-for and 3.38 goals-against. Against potential third-round opponents, the Caps were a mediocre 5-6-2 combined. When it comes to scoring, the team finished third in the East behind the Tampa Bay Lightning and the Toronto Maple Leafs with 278 goals. Of those, Rocket Richard Trophy-winner Alex Ovechkin scored 51, nearly 20 percent, with the next highest scorer, T.J. Oshie, notching less than half that at 25. It’s a risky proposition to depend on one player for so much of your offense, especially when opposing defenses will be extra mindful of Ovi’s offensive-zone presence in the high-stakes playoffs. On the flip side of the coin, the Caps’ defense was sub-par at best during the regular season, and the goaltending was often shaky. The Caps finished with 249 goals against, ranked eighth in the East with 53 more lamp-lighters allowed than league-leader Tampa Bay. 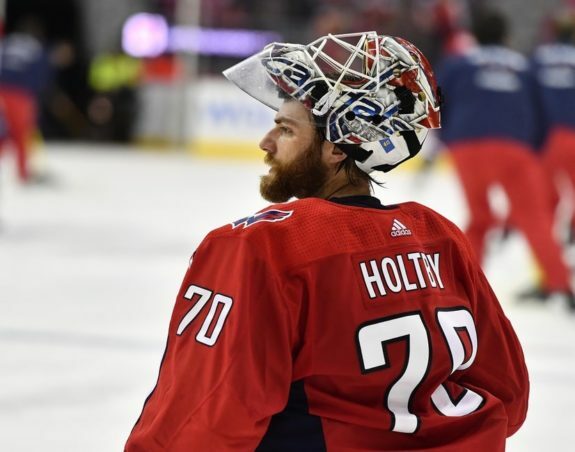 Starting netminder Braden Holtby saw 1,795 shots against, which ranked seventh most among all goaltenders despite the Capitals coming in fourth in the East with 1,234 blocked shots. In 58 starts, Holtby finished with just a .911 save percentage, well behind the league leaders who finished well into the .930 range. In tight, one-or-two-goal postseason games, these numbers aren’t going to cut it. More often than not, the Stanley Cup Playoffs come down to special teams. Who can outperform the other team when it matters most? Who has all facets of their game buttoned up at a championship level? The answer is what separates title contenders from the pack, and the Capitals are decidedly in the pack. Among Eastern Conference playoff teams, the Capitals finished fifth during the regular season with a 20.8 power-play percentage and last with just a 78.9 percent penalty-kill efficiency. Of their 49 power-play goals, Ovechkin had 18, with no other player reaching half that number. Again, that’s a lot eggs in one basket in the event of injury or a dreaded playoff scoring slump. As far as the penalty-killing goes, as the third most penalized team in the East with 261 opponent power play opportunities, they’ll either have to improve dramatically overnight to shore up this glaring weak spot or be a ton more disciplined when it comes to taking penalties. It’s not just the Capitals; the Tampa Bay Lightning appear on every playoff team’s list of reasons they won’t win the Cup this year. The Lightning, with their 62-16-4 regular season record, tied the NHL mark for wins and registered the fewest regulation losses (16) since, ironically, the 2009-10 Washington Capitals, who dropped just 15 in regulation that season. On the first day of the playoffs, Las Vegas sportsbooks had the Lightning’s odds at 2-1 to win the Cup, and despite their stumble out of the blocks in Game 1 against the Blue Jackets, they’re a looming giant to all 15 other playoff teams in the hunt for the hardware. The Bolts amazingly won every single one of their season series against Eastern Conference opponents, including a 2-1 record and a 4.67 average goals-for against the Capitals, and only had losing records against three Western Conference foes. 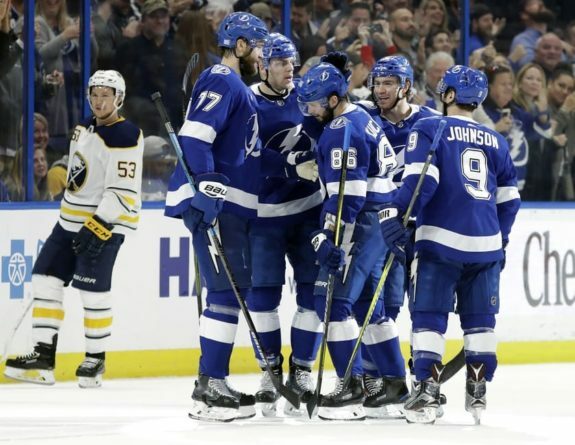 With a relatively recent Cup to their name and trips to the Eastern Conference Final or better in three of their past four seasons, not only are the Lightning the best team in the league, they have the playoff experience to back it up and seriously compete this year for the second Cup in franchise history. That means, at 12-1 Las Vegas odds, the Tampa Bay Lightning are one of the biggest reasons the Washington Capitals won’t repeat as Stanley Cup Champions in 2019.